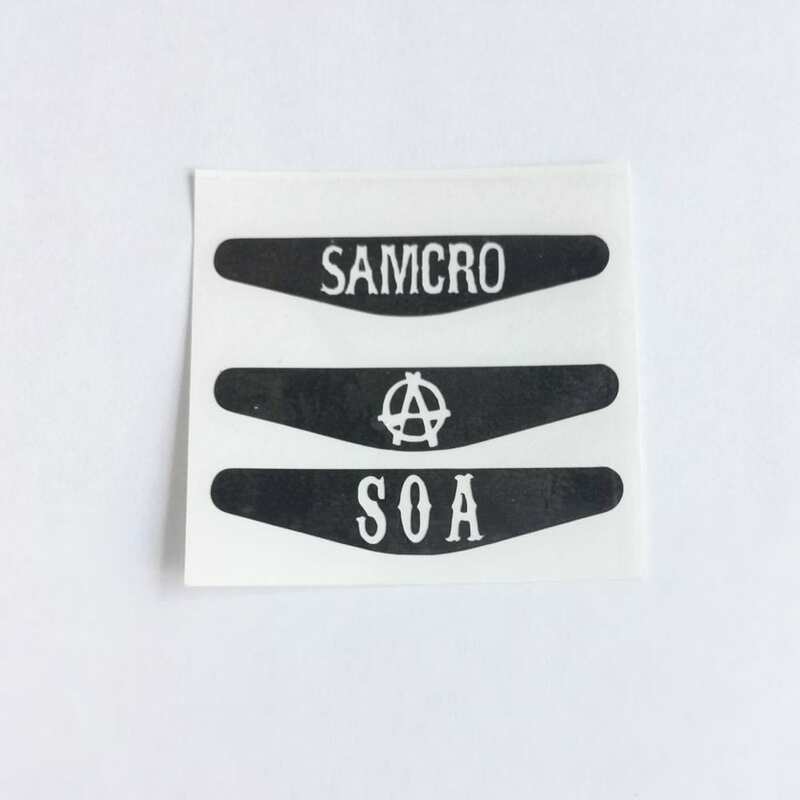 A set of three custom made Sons Of Anarchy inspired PS4 light bar Decals. A set of three custom made Avengers inspired PS4 light bar Decals. A set of three custom made Marvel inspired PS4 light bar Decals. A set of three custom made Jurassic Park inspired PS4 light bar Decals. A set of three custom made Overwatch inspired PS4 light bar Decals.